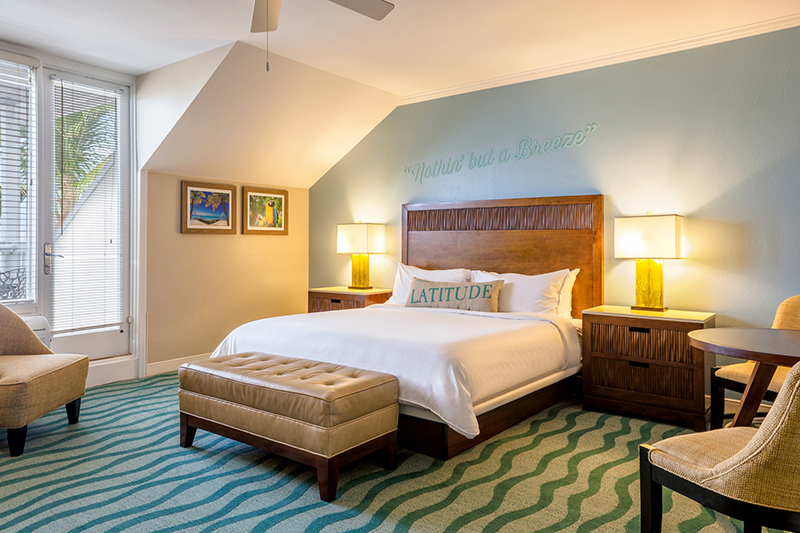 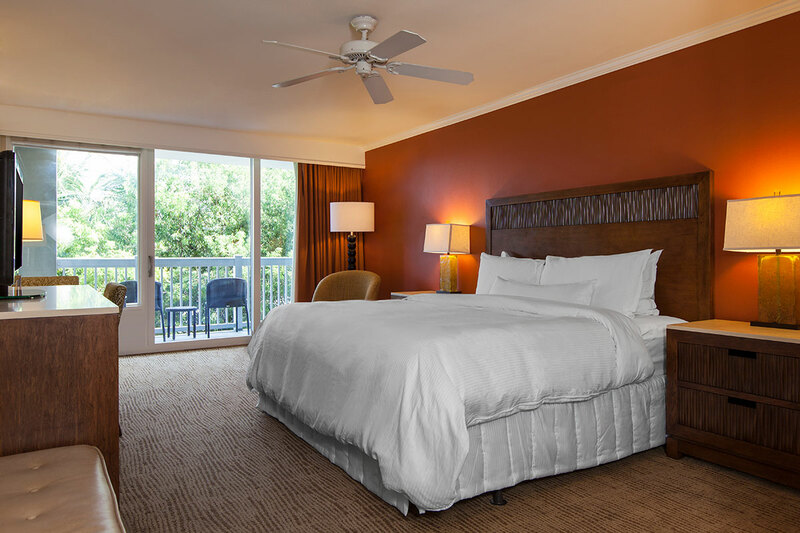 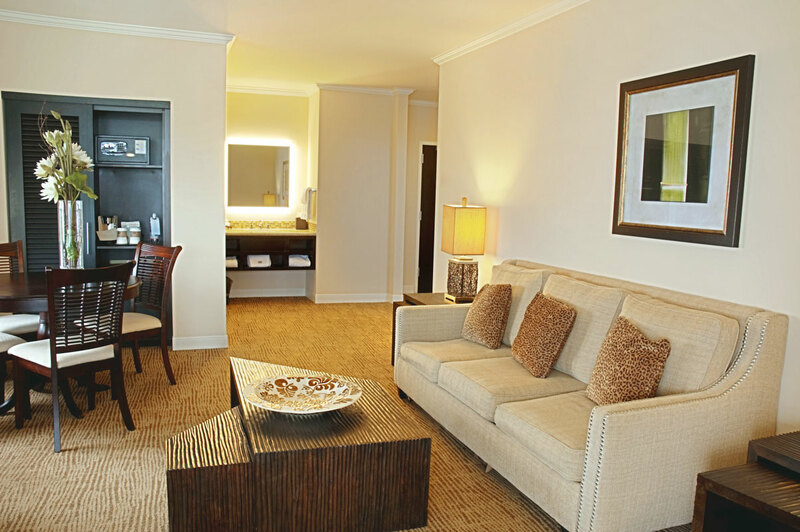 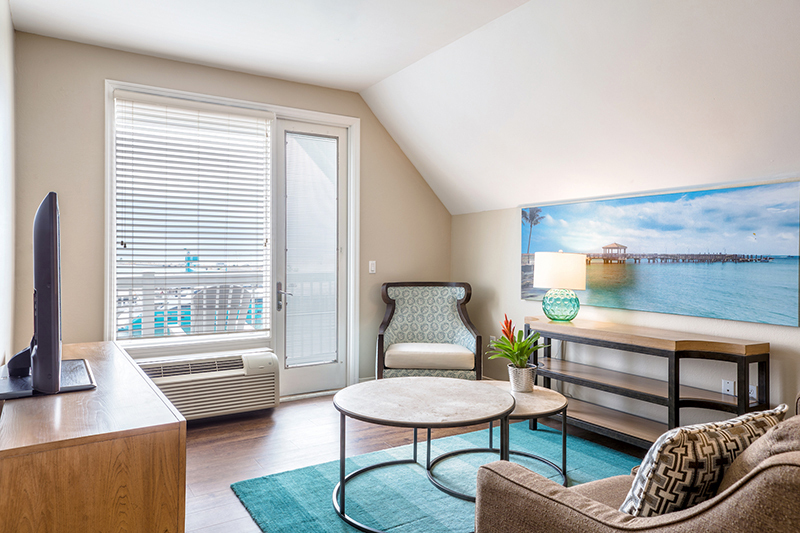 Gaze at partial ocean or full oceanfront views from one of our newly renovated suites. 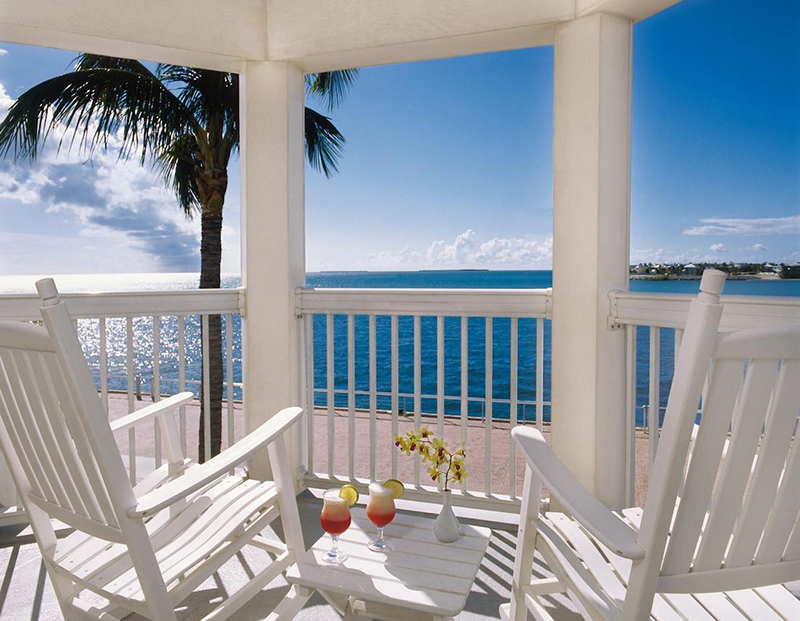 Unwind on the balcony furnished with a table and two wicker chairs. 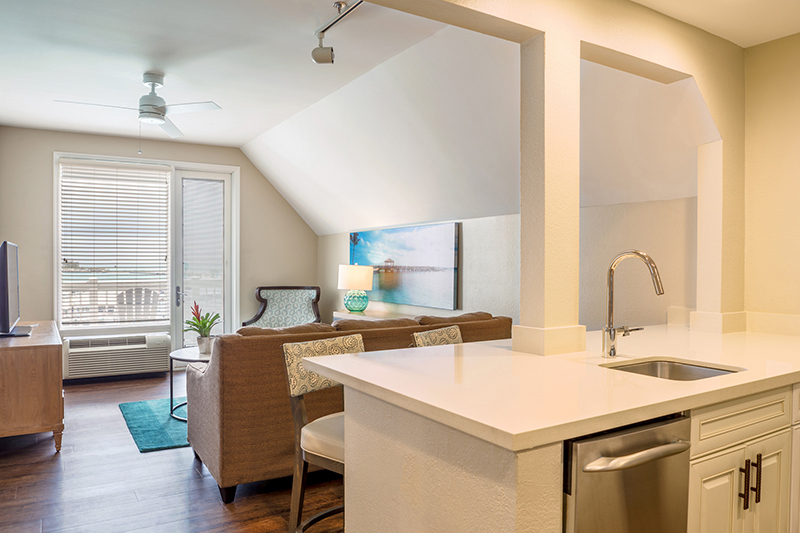 Inside, the stylish living area features natural woods and soft, neutral colors.